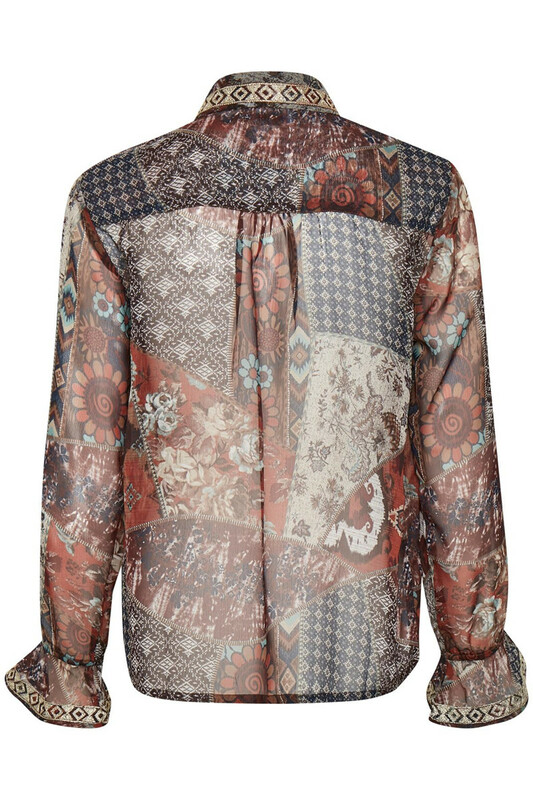 Gorgeous and elegant shirt from Cream. The shirt blouse has this beautiful print, long sleeves with button closure and it is buttoned. 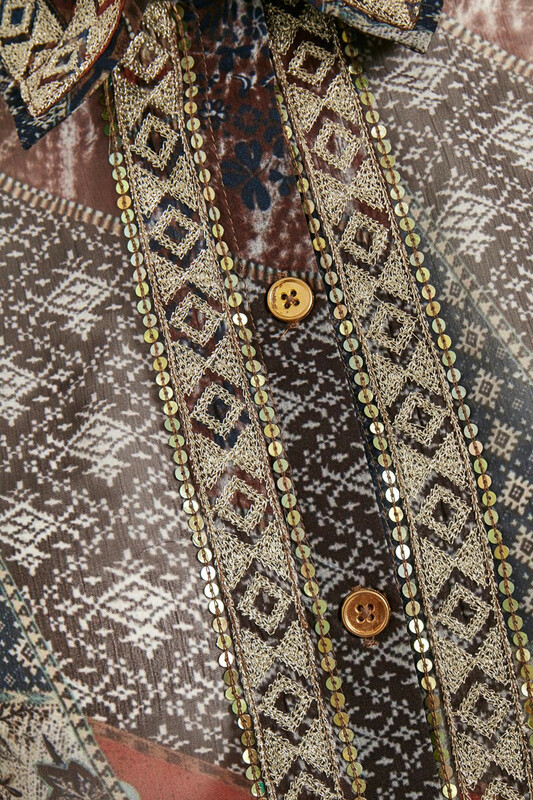 The shirt has a regular fit, is transparent and has fine silver-woven details on the collar and sleeve ends. 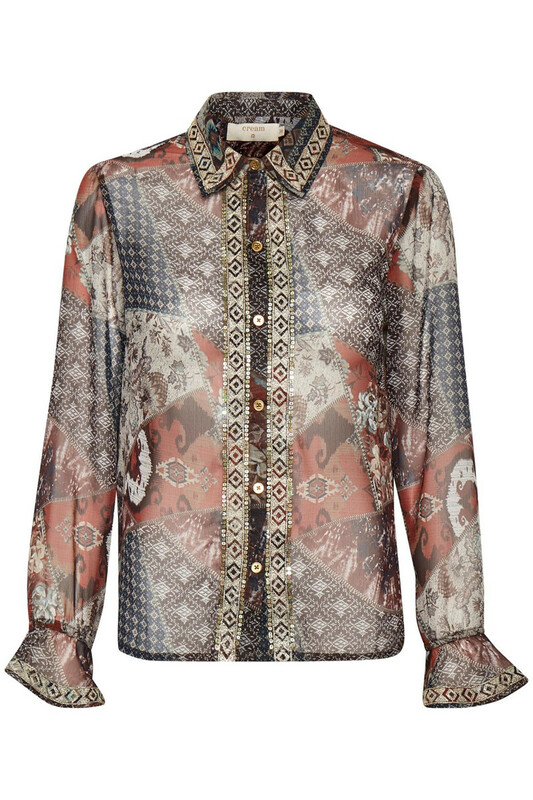 The fine silver detail is discreet, but at the same time creates this feminine and elegant expression for the shirt. Furthermore, it is certainly comfortable to wear, especially with its light-weight quality, and it's really easy to style together with both pants, jeans and skirts.